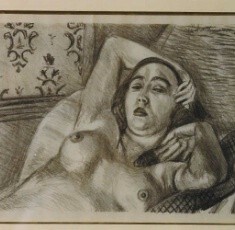 (1869-1954) Considered one of the Modern Masters, Matisse had a great influence on the art of the 20th Century which will carry deep into the future. 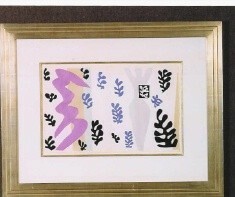 Matisse changed the way we look at color. Beginning with the Fauve movement in early 1900’s and the famous Fauve exhibit in 1905, Matisse demonstrated a broad range of expertise and innovation which accounted for the international reputation that followed him throughout most of his career. Matisse produced paintings, drawings, etchings and sculpture which, individually and as a whole, were and continue to be important to collectors around the world. 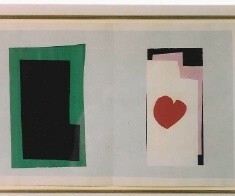 During his later years he became renowned for his collages. Bursting with color, unique shapes were cut from gouache colored paper, often to tell a story or illustrate a published book. The most famous of these is Jazz where the images and text reflect very personal expressions of Matisse’s inspiration and feelings. 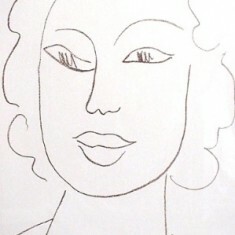 Matisse evinced a strong rivalry with Picasso. Their relationship and subsequent influence upon each other is noteworthy and has been celebrated in the last few years; there have been several important museum exhibitions comparing their work.